Joan Chittister, In God’s Holy Light: Wisdom from the Desert Monastics. Cincinnati, OH: Franciscan Media, 2015. Moreover, why would someone want to be nasty about such a wonderful book? 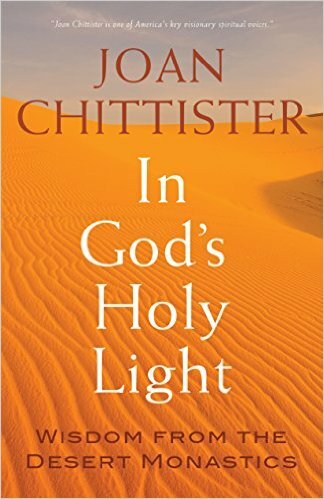 Through short, simple commentaries on thirty-five sayings from fourth century desert monastics, Chittister gives us practical, down to earth advice about how to seek God while He may be found. 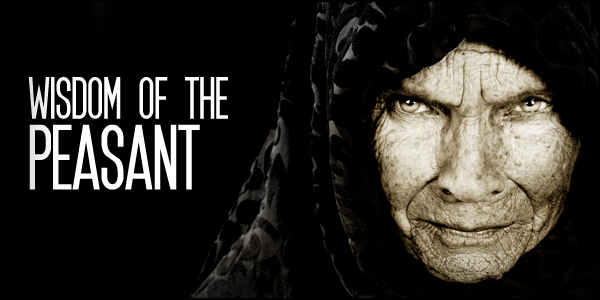 She critiques our consumerist culture through the example of Brother Serapion, who sold even his Bible – “the very word which commanded me: ‘Sell everything, and give to the poor. 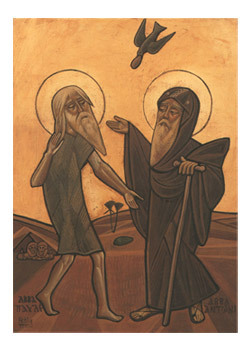 '” Time mattered more to the desert monastics than money, Chittister writes, because “if you lose time you cannot replace what you lost.” Then she uses the example of the learned Abba Arsenius asking a simple peasant for advice to remind us that “Arsenius’ strength lies in knowing that his own wisdom has its limits, its boundaries.” And if Arsenius is willing to break down the boundaries of class and education to listen to the peasant, would we be willing to do the same with immigrants or with people from other social backgrounds? Chittister reminds us that just withdrawing from the world doesn’t make contemplatives of us. In the words of Amma Syncletica, “there are many who live in the mountains and behave as if they were in town, and they are wasting their time. It is possible to be a solitary in one’s mind while living in a crowd, and it is possible for one who is a solitary to live in the crowd of his own thoughts.” God can be found everywhere, but we need to be able to hear Him. One of the fathers said: “Just as it is impossible to see your face in troubled water, so also the soul, unless it is clear of alien thoughts, is not able to pray to God in contemplation.” “God is not hiding from us,” Chittister notes, “we are hiding from God” because we fill our lives with noise that prevents us from listening and obeying. When we become better at contemplation we risk being distracted by our success. 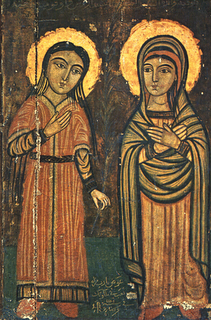 Humility was key for the desert monastics, and it needs to be key for us to. We live in a celebrity culture and love to be praised, but instead we need to heed Abba Bessarian’s advice to “Be silent and do not measure yourself against the others.” So long as we think spirituality is a competition we have lost God completely. One of my favorite chapters is the one on Holy Generosity. “Abba Spiphanus said: ‘God sells righteousness very cheap to those who are eager to buy: namely for a little piece of bread, worthless clothes, a cup of cold water and one coin. '” Both the monks and the people they were giving to were very poor, Chittister says, in stark contrast to our society where we grasp as much as we can for ourselves and then humiliate others into becoming beggars or make them pass a means’ test to see if they are worthwhile recipients of our charity. Personal holiness includes social responsibility on a local, national, and global level. When reminding us (together with Abba James) that words matter, Chittister comments that “we called the practice of selling debt to multiple anonymous buyers ‘hedge funds’ – as in funds that hid us from responsibility – and we brought the economy down. We called war ‘defense,’ but we now know that there were no weapons aimed at us from half a world away. Without even the grace to blush, we claimed to be using these weapons – weapons that harm hardworking fathers, pregnant mothers, and infants – to defend democracy, justice and freedom.” She writes that Abba James “speaks to us from the depths of his ancient desert, and his words echo in the sterility and barrenness of our modern deserts. But we are bogged down in money and oppression, lust and exploitation, the abuse of children and the despoliation of women everywhere – including on the streets of our towns. And we use words – progress, success, equality and fairness – to veil it.” Can we find even more excuses to ignore the blunt messages of the desert monastics, or is it time for us to wake up and take God’s call on our lives seriously? I would like to thank Catholic Library World for providing me with a review copy of this book. You can read another of my reviews of In God’s Holy Light in the December 2015 issue.